From our best organic vineyards, this exquisite Merlot has been matured for 12 months in new oak barrels. 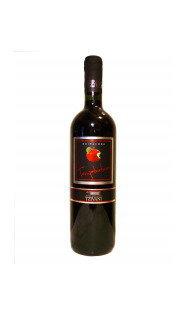 It fascinates with the deep purple colour, the aromas of black fruits and spices, the full body and it's rich flavor. Enjoy it with red and wild meat dishes, cheeses with intense flavor and bitter chocolate sweets at 16 - 18o C. Recommended for ageing.